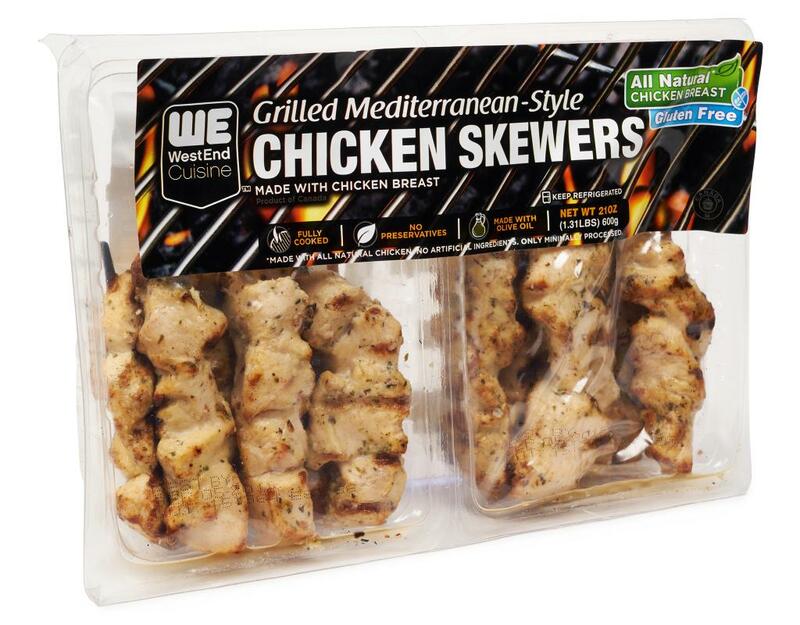 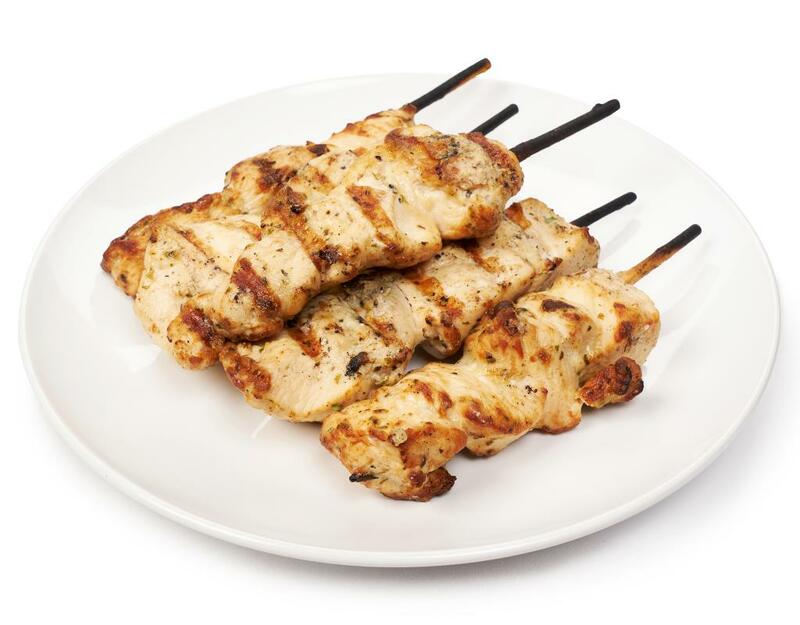 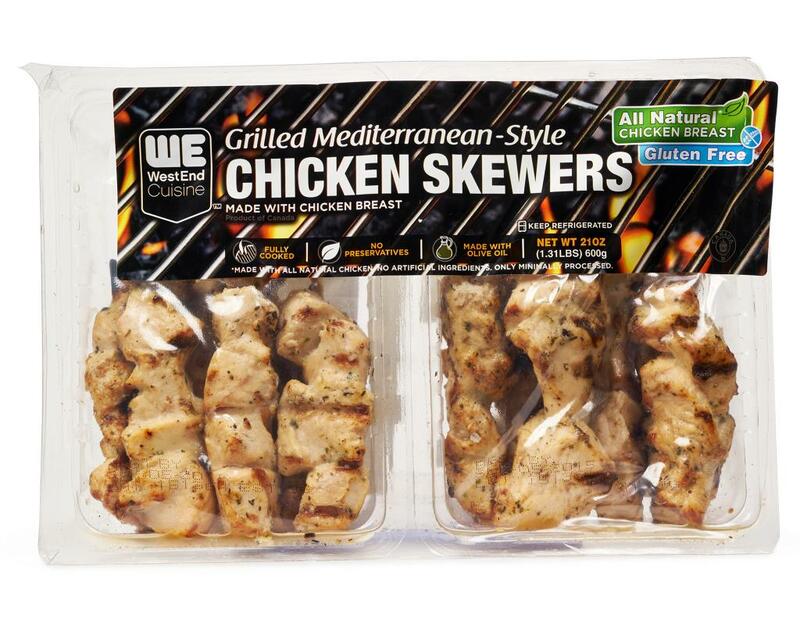 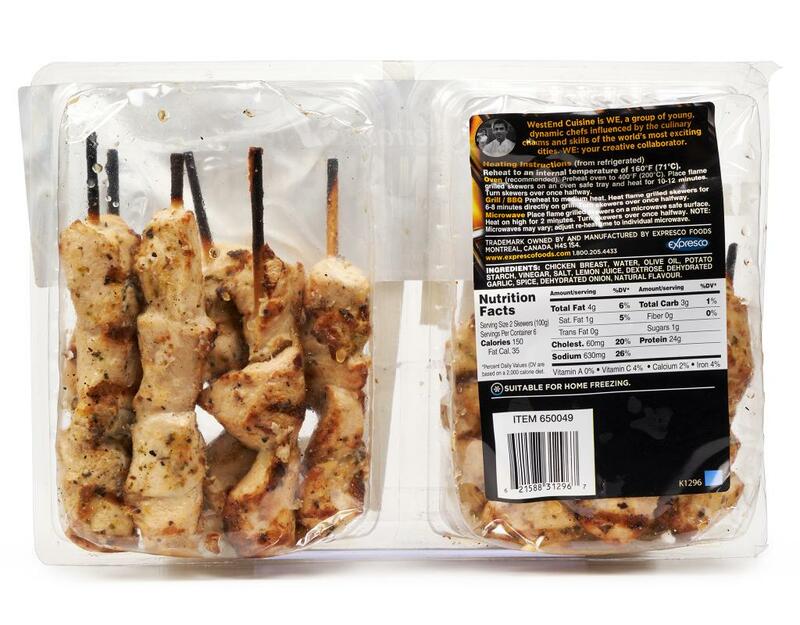 West End Cuisine Mediterranean-style chicken skewers are tasty and delicious. Fully cooked, just warm them on the oven, grill or in the microwave. 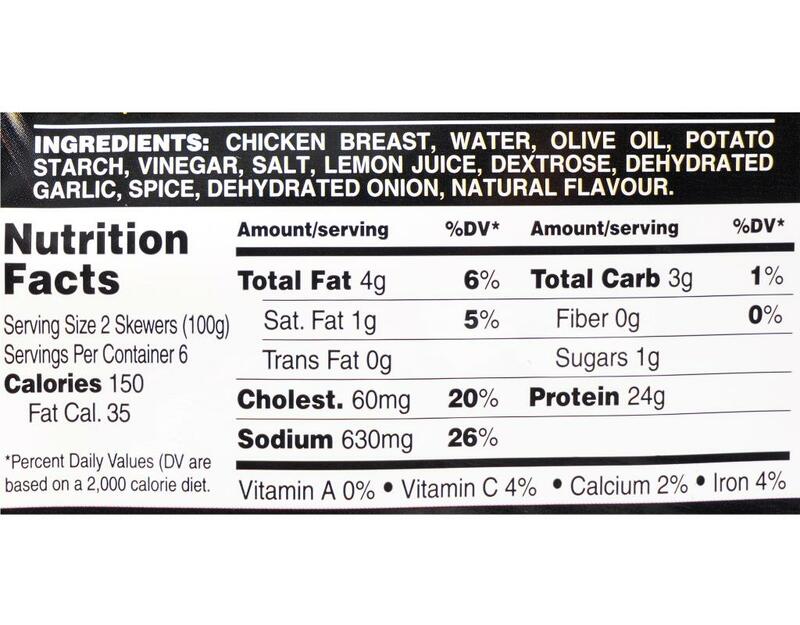 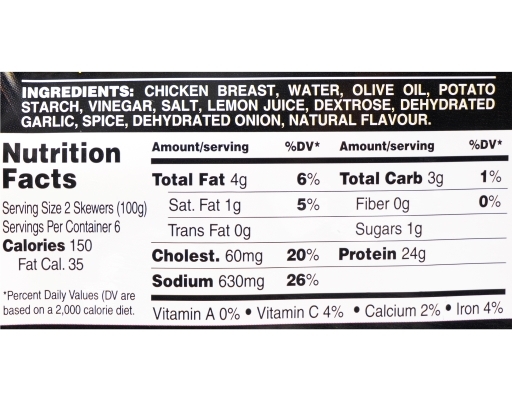 Chicken breast, water, olive oil, potato starch, salt, lemon juice, dextrose, dehydrated garlic, spice, dehydrated onion, natural flavor.